Slim Down and Stay Full | Valet. Cutting calories? Trying to get in shape for the coming summer? Thankfully, slimming down doesn't have to mean subsisting entirely on egg whites and kale or suffering through constant hunger pangs. The secret? Forget about the gimmicky, pre-packaged weight loss snacks and focus on real, whole foods says registered dietitian Tanya Zuckerbrot, author and founder of the F-Factor. She recommends shifting your diet to load up on fiber with ample sources of lean protein. That way, you'll reduce your calories without feeling like you're eating less. Here are six proven foods to incorporate into your menu in order to feel full and get lean. 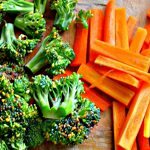 Vegetables like carrots, celery, cucumbers, sugar snap peas, broccoli and cauliflower are extremely low in calories and made up mostly of water. The natural fiber adds density to the veggies, which provides a satisfying crunch and leaves you with the feeling of a full stomach. The perfect complement to those fresh veggies or a more nutritious alternative to mayo on your sandwiches. Beans are an excellent source of fiber and chickpeas are packed with protein too. 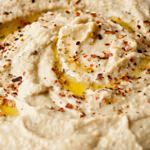 Hummus not only satisfies your hunger but it can boost energy because it's rich in iron and also helps balance your blood sugar. When it comes to nuts, pistachios have one of the lowest calorie and fat counts out there. And because of that, you'll get to eat more of them. 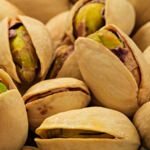 A 1-ounce serving comes out to be about 45 pistachios—and because cracking them takes some time you're satisfied by the time you're finished eating them. 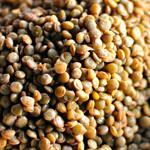 Low in calories and high in nutrition, lentils are doubly filling because they're packed with protein and fiber: Each ¼ cup has 3.9 grams of fiber and almost 4.5 grams of protein. Nutty and earthy in flavor, you can easily add them to soups, stir-fries or have them as a side to some grilled chicken or salmon. 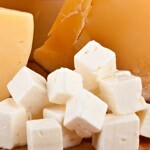 It feels like an indulgence, but cheese is actually a satisfying food that's great for people looking to drop some weight. It's packed with protein, of course, but the calcium is great too. It helps maintain muscle mass, which boosts your metabolism, helping you burn calories more efficiently. 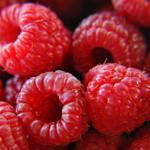 When you want something sweet, raspberries offer 8 grams of filling fiber and only 60 calories per serving. Plus the dark berries are loaded with antioxidants and vitamin C. Eat them plain, toss them in a smoothie or top a salad with a few. But because of their natural sugar, you don't want to eat more than a cup in one sitting. The Academy of Nutrition and Dietetics recommends men get 38 grams of fiber in their diet daily, yet most adults in the US get typically 9 to 11. Supercharge your nutrition to see better results.